OSR Vacation Pvt. 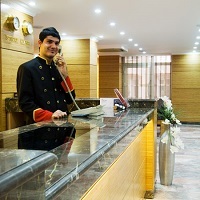 Ltd. from New Delhi (India) renders exemplary Hotel Booking Services to all over India. We can get you booking at 5 Star Hotels, 3 Star Hotels, 2 Star Hotels, Guest houses, Luxury Resorts, and Motels anywhere in India. Additionally, you can get accommodation in A/C Room, Non-A/C Room and Deluxe Room etc. You can trust us to get documents, process and coordination done on your behalf. Whatsoever your budget, we assure to find relaxed and dependable accommodation in advance or at short notice.